The plan was that when I turned 16, I would inherit the family station wagon. Mere weeks before that magical birthday arrived though, my older cousin came to live with us from out-of-state. The rude awakening came when he inherited the car instead, as his need for transportation trumped mine. Just as I was coming to terms with this, I discovered another reason to grumble: he was putting out cigarettes in the upholstery of the car—my car. If I had ever been tempted to try smoking before, seeing that deterred me in a way no public health campaign ever could; teenage angst is a powerful thing! 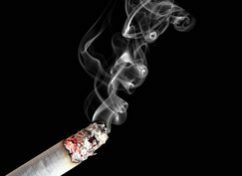 Unfortunately, according to the CDC, smoking is still responsible for about 1,300 deaths per day in the US, and for every person that dies from smoking, another 30 live with a related illness. Finding ways to reduce smoking is a major role of public health advocates and the health care system, but it’s been slow going. One popular approach is a tax on tobacco products. Cigarettes have been taxed in Colorado since 1964, and the last time that tax was increased was 2004 (PDF). The revenue from that tax largely went to public health insurance, safety net clinics, tobacco education and cessation, and detection and treatment for smoking-related illnesses. Following that tax hike, cigarette sales dropped from 300 million packs per year down to a low of 193 million in 2014. And, the rate of adult smokers decreased from 20% to less than 16%. However, tobacco taxes are a form of excise tax, and excise taxes are notoriously regressive, meaning they hurt the pocketbook of the people at the lowest levels of the socioeconomic scale more than those at the top. It’s a fact that income is inextricably tied to our ability to achieve good health; if an individual does not have the support or means to quit smoking, the tax ends up having a negative effect on their health because it reduces their available resources to seek health care and make other healthy choices. There are many ways to calculate the costs and benefits of a tobacco tax, but they come down to this: it will cause some people to quit, others to cut back, and still others to not change their smoking habits. An important 1998 study, which attempted to remain neutral in the debate over a tax’s effect on smoking behavior, came to a few key conclusions: a 50% increase in price should cause a 12.5% decrease in consumption, and individuals that are young, Hispanic or black, or low-income, are all more likely to respond to a price increase by reducing or quitting smoking than those that are older, white, or higher income. In other words, the impact of a tobacco tax is less than we may hope, but it does appear to help underserved populations smoke less. This November, Initiative 143 (PDF) will ask voters to approve an additional $1.75 tax per pack of cigarettes. Colorado’s tobacco tax is currently one of the lower rates in the country; this increase will move us from 37th to 10th. While we must acknowledge that higher prices do cause hardship among some low-income individuals, and work to improve access to prevention and cessation for these and other Coloradans—which some revenues from this increase would finance—CCMU supports this amendment because we believe it will have important health and economic benefits for our state and our people. In some ways, those cigarette burns in the upholstery may have done me a favor, but it’d be difficult to scale up that approach as an anti-smoking intervention. Initiative 143 would be much better public policy.